Facebook Launched a new feature called Instant Games on its Messenger App. Facebook has given a chance to the game developers to monetise the Instant games on Messenger App. Another exciting feature is introducing the Live Streaming and Video chatting through Messenger. Facebook wants to make more money from the Messenger App and is willing to share some amount with the Game developers through Messenger App. Instant Games on Messenger work on HTML5 cross-platform and Facebook introduced 17 Game Titles. Among 17 Titles we can see some familiar titles like Pac-Man, Galaga. Facebook has given support for game streaming via Facebook Live, and you can chat with the fellow gamers. 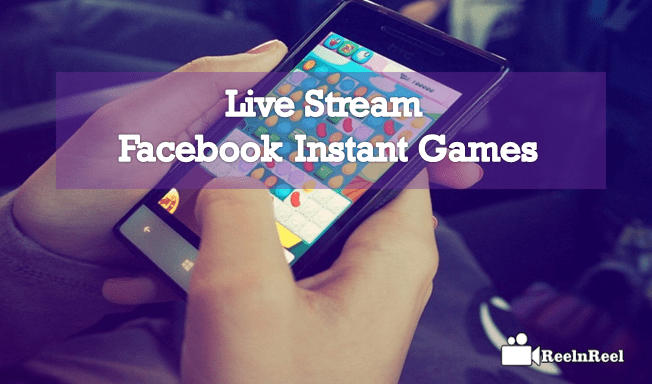 Instant Game features presented on Facebook for a year ago, but live streaming launched now. Live streaming the game via Facebook live through the Messenger App and will appear on the Newsfeed. The stream will record once you are playing then you can post it after completion your game. Facebook has given a chance to live to stream and chat with the other gamers, a startup with a new game while you are on a Video call. The company says that it is fun and social play, you can play and compete with the other friends on the conference. We can see high-quality games as before we cannot trust in the reliable way of monetizing the games. The game developers are planning to include rich features, visually engaging and customising games. You can able to play the old hit games like Space Invaders, Pac-Man and Galaga and the modern games on social media networking sites. Facebook is going to unlock some other tools to optimize the developers. The all gamers can remember that it is based on the Rocking up with high score games. To play the Game tap on the new game Controller icon, which located at the bottom of the Messenger App. The new section will open on the messenger app that can lead you to choose the new games. You can see the leaderboards, new games choose the game and compete with the friends also. While playing the game on the Messenger App, just Tap on the Camera button which located at the bottom right corner of the Game. Once the Game selected, you can choose the number of friends or audience you wish to broadcast the game. Add some short describing what your video related to your friends or write in short form about your video. Press the “Start Live Video” button, and the live video streaming starts. When you finished your streaming end, it and your streaming video saved to the page or the profile where you stream ends. It is just like a video or an image you can see any time on the Facebook page or in profile as regular posts. Your friends and Fans will catch up your game stream later for reference or if they miss on live. Facebook Instant Games is a new way to showcase your skill to your friends showing high scores, compete with your friends on online through mobiles. Facebook introduced the natural process to live stream Instant games and communicate with friends on Live.